Save the Harbor/Save the Bay is a dynamic non-profit working to restore and protect Boston Harbor, Massachusetts Bay and the marine environment and share them with the public for everyone to enjoy. With offices on the Boston Fish Pier overlooking Boston Harbor, Save the Harbor is the region’s leading voice for clean water and continued public investment in Boston Harbor, the region's public beaches, and the Boston Harbor Islands. The Senior Staff Assistant is one of Save the Harbor/Save the Bay’s core staff positions and plays an essential role in pursuing our mission and goals. This position offers the unique opportunity to engage in every aspect of our mission-based non-profit’s work, supporting our advocacy and policy efforts, community outreach and programming. Office Operations – The Senior Staff Assistant is an essential part of our operations keeping our organization running smoothly and efficiently. This includes all aspects of office management including booking meetings, maintaining the organization’s calendar, front desk reception, generating invoices, managing vendor relationships, distributing press clips and news updates throughout the organization, maintaining general collateral supply and packets as well as office supply inventory and assisting staff on day to day needs. Donor Stewardship & Database Management – The Senior Staff Assistant plays a key role in Save the Harbor’s communication with and stewardship of our donors and sponsors. The Senior Staff Assistant works on the management and construction of donor mailing lists for annual appeals, thank you letters, event invitations. They will work closely with the President communicating with sponsors and tracking donations for our annual corporate gala. Senior Staff Assistant also manages our donor database, EveryAction, entering and updating records, maintaining code lists and pulling records and information for staff. Material Design and Production – The Senior Staff Assistant also plays a lead role in the production and design of program and organization collateral materials including collages, program reports, event posters, flyers, newsletters and press clips. These materials are essential tools in our successful fundraising, advocacy and communications strategies. IT – The Senior Staff Assistant acts as in-office support, troubleshooting basic issues such as internet and server connectivity, phone systems, printer/copier maintenance, email account back end control, and working with our IT consultant on more advanced challenges. A keen interest in current events and the marine environment. Save the Harbor is an ambitious organization that has enjoyed tremendous success and earned the regard and friendship of a broad based constituency. Since 1986 we have been the region’s leading voice for clean water and the completion of the $5 billion Boston Harbor Clean-Up, which has transformed Boston Harbor from one of the dirtiest harbors in the nation into a source of educational, recreational and economic opportunity for all Bostonians and the region’s residents. Convenes and leads our Beaches Science Advisory Committee, which led the effort to transform the South Boston beaches into the cleanest urban beaches in America and is working to improve water quality at King’s Beach in Lynn and Swampscott and Tenean Beach in Dorchester. 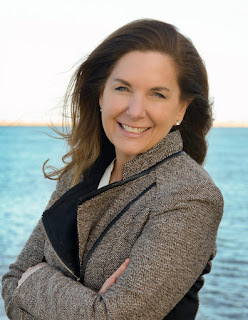 Leads and manages the Metropolitan Beaches Commission for the Massachusetts Legislature, charged with improving the Boston Harbor Region’s public beaches from Nahant on the North Shore to Nantasket on the South Shore. Strengthens Boston’s waterfront neighborhoods and the region’s beachfront communities by hosting and sponsoring 484 free Better Beaches events and programs on the region’s public beaches from Nahant to Nantasket since 2008. Is the Boston Harbor Connection for the region’s underserved and low-income youth and their families, with free Youth Environmental Education Programs that have introduced more than 190,000 underserved and low-income young people to the spectacular harbor we have worked so hard to restore and protect since we began them in 2002. Salary is commensurate with experience, and includes 100% employer paid health and dental insurance, plus 401K and generous vacation time. Save the Harbor is ideally located overlooking Boston Harbor on the Fish Pier, and our 7-person staff cultivates a collaborative, fun, but hard-working office environment with a focus on open-communication and enthusiasm for our mission. To apply for this position, please email your resume and a cover letter to hr@savetheharbor.org. For more information about the organization, visit our website at www.savetheharbor.org. Save the Harbor/Save the Bay is an equal opportunity employer and will not discriminate against any employee or applicant on the basis of age, color, disability, gender, national origin, race, religion, sexual orientation, veteran status, or any classification protected by federal, state, or local law.